Disclose all the properties you own. You have to tell your mortgage agent about all the properties you own and the mortgages involved. Keep your taxes up to date. Lenders may decline your application if you owe taxes to Revenue Canada. Communicate your reason for purchasing. Showing that you know what you’re looking for will make it easier to get the financing required. Make sure your property meets minimum requirements. 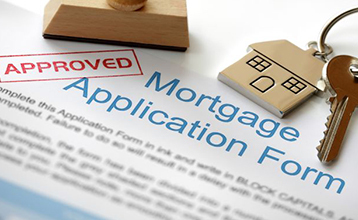 Each lender has different guidelines; we can help to make sure these are all met. Know your down payment source. This is critical, as lenders want to know that the deposit is liquid and accessible. At the time of application, keep your current financial situation stable. For the best rates, all income needs to be verifiable. Be conservative with the value of a property. Purchasing a house beyond your means can become problematic in the future when you leave yourself with little to no disposable income. Don’t look for the lender with the cheapest interest rate and then try to fit the lender’s policy. We can help you plan your financing and structure your loan with the features you need. Use a mortgage broker. The paperwork that lenders require can be significant, and it’s important to get it right. We are here to guide you through the whole process. previous post: What Does ‘Pre-Approval’ Mean?